Disclaimer: I am a Rituals... affiliate and the links in this post are advertising links. I purchased the scrub and Rituals provided the shower foam. The opinions in this post are my own. I recently found out about RITUALS... Cosmetics and was really excited to have the opportunity to join their affiliate program and try out their products. 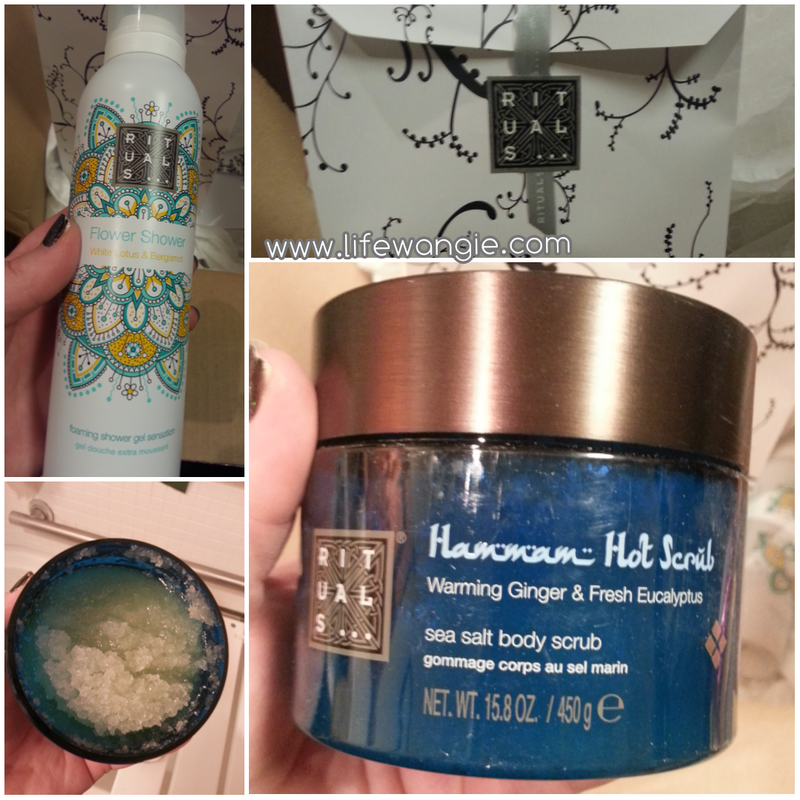 One of my holy grail products right now is a bath scrub, so I looked through all the different scrubs before settling on the Hammam Hot Scrub, which I purchased. 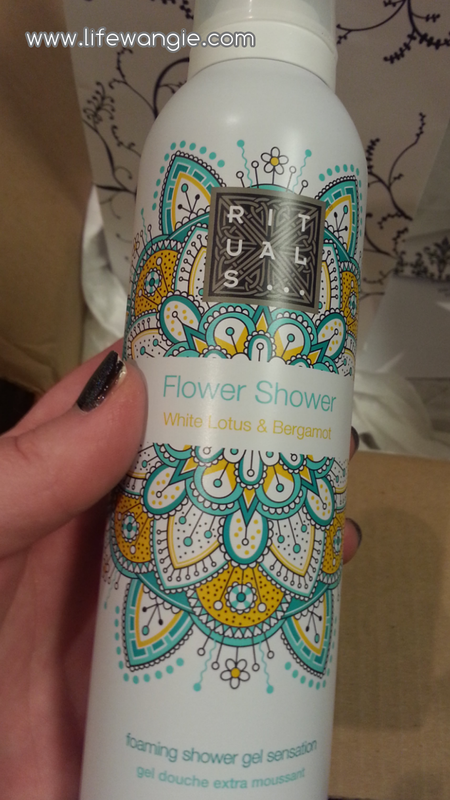 Rituals also sent me the Flower Shower shower foam to review. 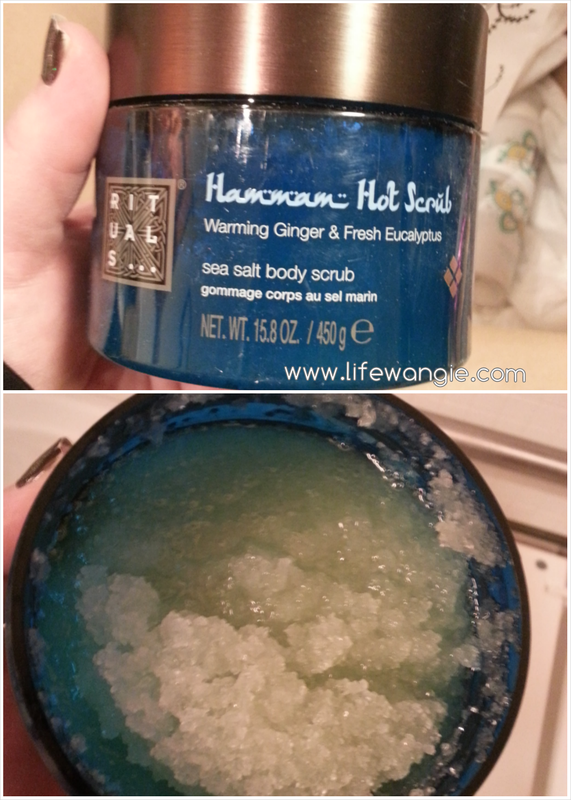 First, let's start with the Hammam Hot Scrub. I decided to give my legs and feet a hot bath on a chilly night. I do this sometimes when I am giving myself a pedicure and so I am always looking for a great body scrub. I love this scrub! It smells amazing. I put a little scoop in the hot water in the tub and it made the whole bathroom smell great. My skin is soft and smooth after using it, and most importantly, it rinsed off really cleanly. I have tried a lot of body scrubs and frequently they leave behind a film, but this one did not. I was super excited to find this scrub at this quantity and price. The last one I really liked cost $49 for 8 oz, which is too much for my budget, even for a splurge. That's getting into "grocery money" territory. So for $29 for 15.8 oz, this one is a relatively good deal. It's still a splurge, but I don't use products like this every day, so it will last me a while. I will definitely order either this one or one of the other scents that Rituals... offers next time I need body scrub again. Next, I tried the Flower Shower shower foam. The canister for this is like a shaving cream canister, and the foam comes out in a gel but then turns into a foam, kind of like a lot of shaving creams, but this seems to be intended to be more of a body wash. But you have my permission to use it as a shaving cream as well. This product is nice and thick, smells good and rinses off cleanly. I will definitely happily shower and shave my legs with it on a daily basis until it runs out. Personally, I don't spend $15 for a body wash because there are so many drugstore ones that work just great, and since I use it every day I don't want to overspend on something like that. But if you are really into bath products or you have someone like that on your holiday shopping list, this might be a great option. Overall, I was really excited to try out RITUALS..., especially the body scrub, and I am happy to share them with you and be a part of their affiliate program. I don't usually advertise things I haven't tried or things I don't like. I hope you like it too!